The four coronations of the twentieth century were enormous and extravagant. Replete with festive pageantry, these ceremonies were joyful celebrations of British music, employing a chorus of over 400 voices and a full-sized symphony orchestra. On Mon 23 July 2018, in the imposing surroundings of Ely Cathedral, Paul McCreesh and Gabrieli will bring these extraordinary events vividly back to life with a programme spanning more than five centuries of choral music. 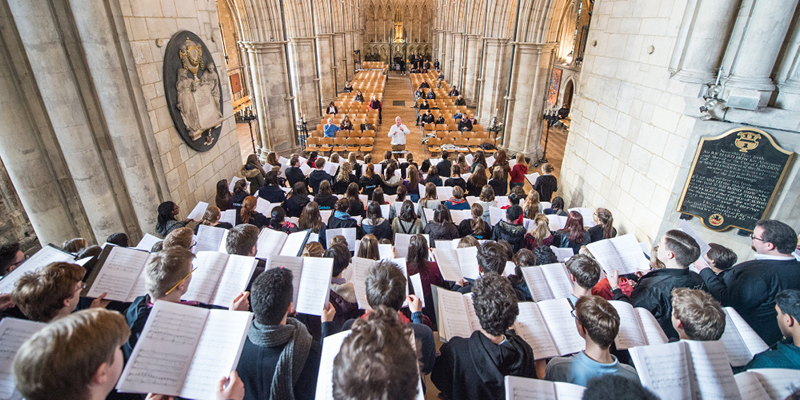 An extended Gabrieli Consort & Players will be amplified by more than 250 young singers drawn from the partner choirs of Gabrieli Roar in a fantasy recreation fit for the ages.